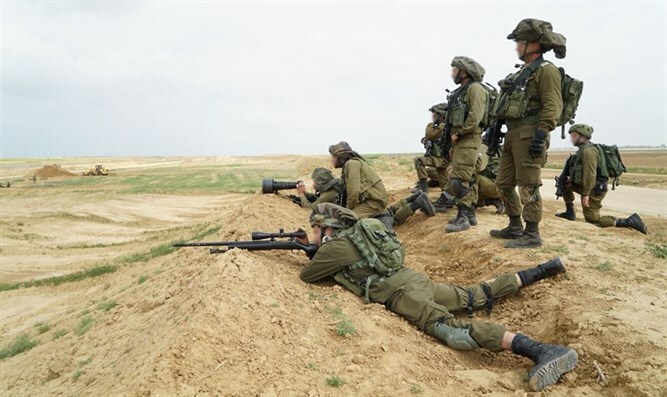 IDF forces shoot to prevent Gazans from nearing border fence. Defense Minister: Anyone who nears the border endangers his life. IDF forces stationed near the Gaza-Israel border are shooting to deter Gazans from nearing the border fence. The Gazan protesters are burning tires and throwing stones at the fence and at the IDF soldiers. A total of 5,000 Gazans so far are currently protesting near the border, and the Gaza Health Ministry reported 20 injured. Meanwhile, the IDF has declared the area near the border fence to be a closed military zone out of bounds for civilians. Defense Minister Avigdor Liberman (Yisrael Beytenu) tweeted a message to Gazans: "The Hamas leadership is endangering your lives. Anyone who nears the border is endangering his life. I advise you to continue your normal lives, and not involve yourselves in provocation." Speaking to thousands of Gaza protesters, Hamas leader Ismail Haniyeh sent a message to US President Donald Trump. "We will not give up on Jerusalem, we will not give up on Palestine, and there will never be a solution unless we have the right of return," he said.